As most of you know, I am traveling with my family for three months in Australia and New Zealand. While this opportunity is amazing, it does not come without struggles. Traveling can be hard. In order to truly appreciate the experience, you have to be curious and deeply interested in learning: about different cultures, foods, customs, languages, etc. Also, you have to be willing to adapt to these different cultures in some manner in order to survive. When you travel with other people, you also have to work as a team. As we go through this journey with our two children- ages 11 and 9, I see how this can be difficult. We have certainly had some trying times. But, I have seen the value of this learning experience. Also, I can see how this experience will bring us closer as a family despite the bumps along the road! Sometimes the art museum makes you feel like this! So, what does this have to do with Mountain Pathways and Montessori? Well, it just so happens that the Montessori method helps children cultivate curiosity, flexibility, and teamwork beautifully. Children are naturally curious from a young age. They want to learn how things work. They want to learn their place in the society into which they were born. In Montessori schools, we simply nurture this innate curiosity by providing an environment that is beautiful and calls for them to explore. As they mature, the environment grows with them allowing more exploration and growth to occur. Learning is fun and interesting- not a chore. If children’s curiosity is nourished early on, they will continue to seek opportunities to learn and grow throughout their life. Curiosity is important to the traveler because it is the fuel that pushes them to learn and grow from their experiences. It enables people to push past the difficulties and relish the discoveries. 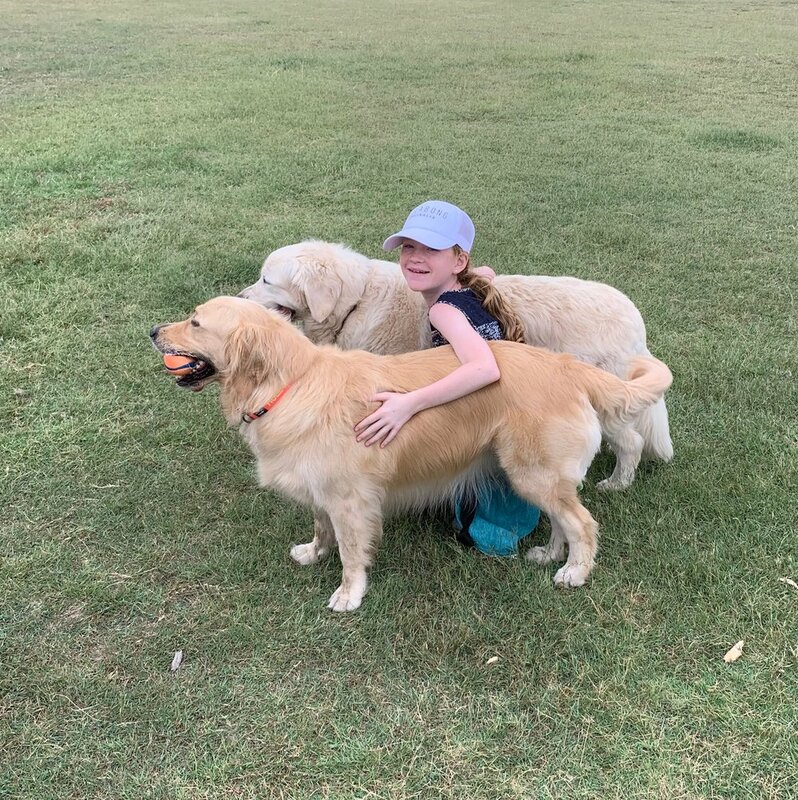 Sometimes you have to find some golden retrievers in the park because you miss yours!! Flexibility, also, is very important when you are traveling. We get out of our routine. We don’t know where to get groceries. We don’t know how to use the public transportation. Sometimes, we don’t even know the language. This can be very daunting and scary. But, if we can be adaptable, this offers great opportunity for growth. In Montessori, children are given an environment that it is carefully designed to allow them independence. From the earliest ages, children are encouraged to do as much as they can on their own. They face challenges, but they learn how to work through those challenges. When they encounter these challenges, the children have to adapt. They may have to try something a different way. They may have to talk with a friend. They may have to come back to it again tomorrow. We give them tools to work through the hard patches. Flexibility is an amazing skill to have- especially when traveling! Finally, traveling often does not occur in isolation, but as part of a team. We are learning through this experience (as a family in tight quarters with A LOT of together-time) that we have to work as a team. We have to collaborate to make decisions taking into account others’ wants and needs. We have to compromise. I think our hardest times have been arguments between our kids because they are competing or trying to get under the other’s skin- not working as a team. Montessori gives children the foundation of teamwork. Children in Montessori classrooms are not competing with each other, so they are happy to help their friends. The classroom is a community that tries to respect and lift up each member for their own unique talents. The mixed age groups allow for a great deal of peer teaching and collaboration. Children in one class are all at different levels, so those farther along can help students struggling with something. This not only helps the child who is struggling, but it helps the child doing the teaching solidify the concept. Teamwork does not only occur in the classroom, but within our whole community, too. I am grateful for being a part of a great team at Mountain Pathways- without them I would not have been able to take this amazing opportunity with my family! So, thank you to Matt, Kristy, and Sara Drum for taking on extra work in my absence. Thank you to the whole staff for being flexible and helping keep everything running smoothly. Thank you to the board and the committees for continuing to move the vision of Mountain Pathways forward. I am deeply grateful for our team, and I know that by tapping into our curiosity, flexibility, and our collective gifts we will continue to evolve Mountain Pathways in positive ways. She’s got a lot of luggage to carry!! 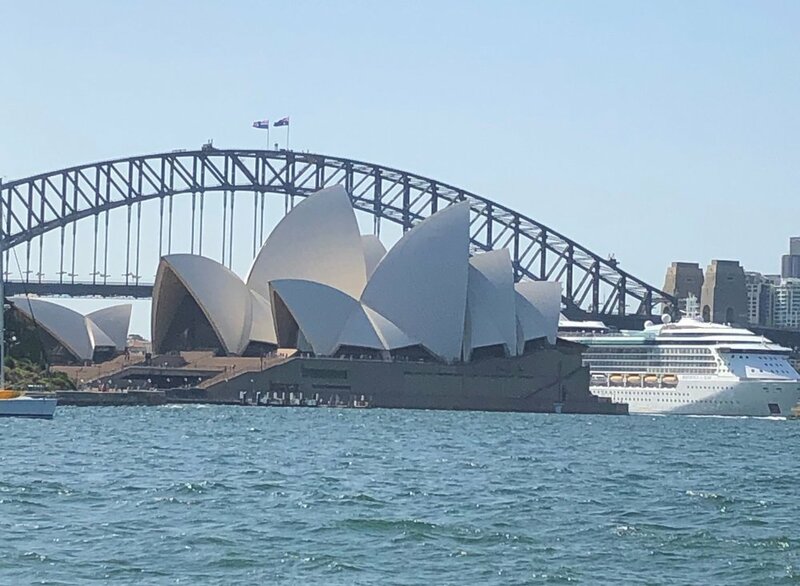 Older PostA postcard from down under: Ellen's travel update!